Keeping your mattress clean is not always the easiest task. Even if you change your sheets often, and don’t have any young children or pets, mattresses should be thoroughly cleaned at least once a year. In between professional cleanings there are many steps you can take to ensure that your mattress has a long and clean life. We don’t like to think about it, but mattresses are weighed down with dust, dead mites, skin cells, sweat, hair and other bodily fluids. Even the cleanest mattresses will accumulate much of this over time, so it’s important to vacuum your mattress regularly. Vacuuming your mattress helps remove much of the dust, skin and bugs from the surface before they get worked deep into the mattress itself. Getting a mattress cover is another great way to protect your mattress. Some people cover mattresses in a sealed plastic cover. Although these covers work well to protect the surface of the mattress, they can be uncomfortable. Foam or cloth mattress covers are comfortable to sleep on, and are less expensive to replace than a new mattress. A thorough, professional mattress cleaning is the best way to keep your mattress in great condition. Professional cleaning removes deep down grime, sweat and other liquids that vacuuming can’t reach. Winter is the perfect time to get your mattress professionally cleaned. 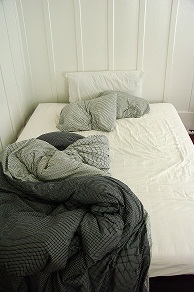 A clean mattress will help you stay healthy by limiting your exposure to germs. People usually have their carpets, mattresses and upholstery cleaned in the Spring. Since it’s a slower season, cleaning companies have amazing deals in the winter. Getting your mattress cleaned now will cost less, and keep you healthier all winter long. We spend nearly a third of our day in bed, why not make it a clean and comfortable space?